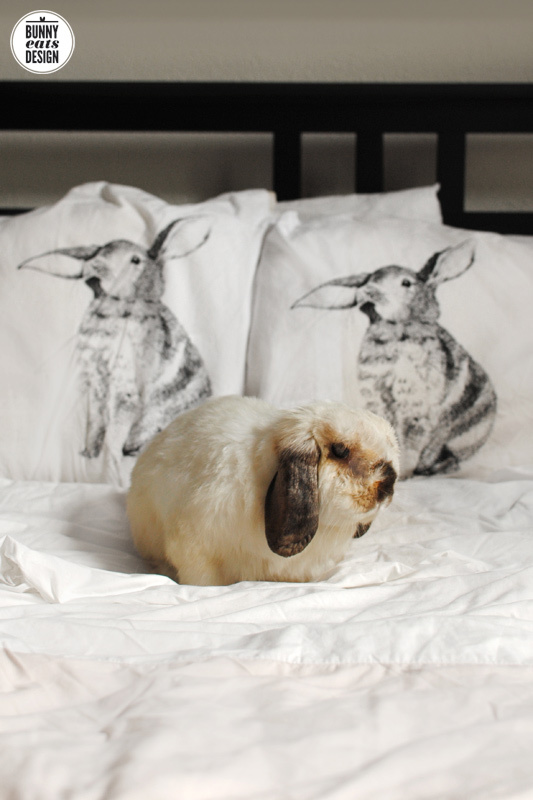 We might not have a hotel room filled with bunnies, but Tofu the bunny approves of our bunny print pillow cases. These were a gift but you can get your own from Father Rabbit. Artwork by Angela McKay for Father Rabbit. Tofu is in good company. Oh I’m glad he likes them! Haha ‘is there someone staring at me’? 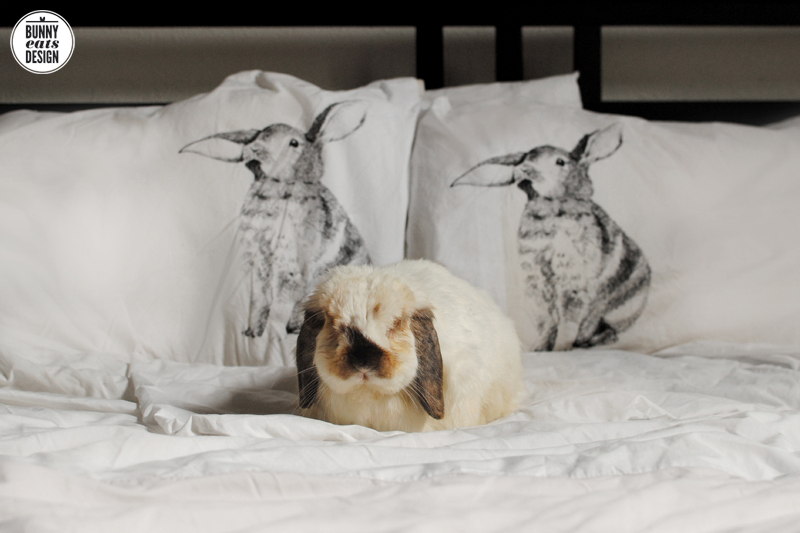 I’m so glad there are other bunny lovers out there!